Then I finally get round to recording and only record the straight through version. Hopefully you can stop and start the recording and repeat back bits as you need. Go get your music at The Library of Gregorian Chant Propers in PDF or Rene Goupil. You’ll need to look for 19th Sunday after Pentecost. We can probably pick up a few verses for Communion time to go with the antiphon. I’ve been learning Palestrina’s 3 part motet Jesu Rex Admirabilis. It would be great if we could sing this on Sunday. So that’s it! 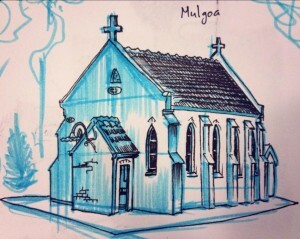 See you 9.30am at Mulgoa to practise before Mass.